In the flurry of post-Brexit excitement it was welcome to hear the First Minister remind Parliament that it must not distract from the business of government. Indeed the Deputy First Minister started the process of public service reform with the publication of his Education Delivery Plan. I spent yesterday in Edinburgh at the Holyrood conference on public service reform with a focus on how the Christie Commission report has been implemented in the five years since its publication. My own contribution largely set the scene, starting with the challenges facing public services in Scotland today. They are remarkably similar to those identified by Christie, although if anything even greater. Austerity cuts have gone on longer than Christie predicted, largely because of the failure of austerity economics - creating the longest recovery from recession on record. Austerity cuts have not been equally applied with local government bearing the brunt of cuts. I also showed that NHS spending is perhaps not as encouraging as headline figures imply. Scotland’s deep-seated inequalities remain largely untouched and recession has hit the most vulnerable hardest. Demographic change has only partially been alleviated by increased migration and even that is under threat by Brexit. Christie had much to say about the role of the public service workforce in delivering reform. However, with 31,000 fewer devolved jobs, 87% of them coming from local government, the capacity to contribute is massively reduced. As UNISON and other surveys show, a demoralised, ageing workforce has been largely forced to abandon the preventative work Christie promoted. Instead, reverting to the statutory minimum, and sometimes not even that. Of the main Christie recommendations, conference participants felt that progress had been limited. On Outcomes, we have a nice website and some fine statements of policy intent, but politicians still emphasise inputs. As the Head of CIPFA pointed out, the main SNP manifesto commitments were on spending or staff numbers, without any explicit link to outcomes. A fault not limited to the SNP! There remains considerable support for the concept of preventive spending. There was a decent case study from the Fire and Rescue service where fire prevention has reduced fires by 40%. However, generally there was frustration over the barriers to preventative spending. Most obviously, that spending in one area might reduce the demand on another without giving any credit to the originating budget holder. The silos that Christie sought to bring down are very much in place. It’s not that the ideas are not out there. A good example of this is a paper on preconception care written by Dr Jonathan Sher. Christie highlighted the importance of early intervention and this research shows us a way ahead. Another Christie recommendation was for greater public service integration. Efforts are being made to achieve this in the key health and care field, but there is considerable scepticism that this will work. There are some good examples of progress out there and we heard from the Youth Talk initiative in Edinburgh that not only brought services together, but also is an excellent example of the bottom up service design Christie championed. I pointed to some themes of public service reform, most of which have championed centralisation and ministerial direction over the principles set out in Christie. The Deputy First Minister’s Education Delivery Plan, launched yesterday, sadly risks looking like more of the same. When ministers are in government for a long time, the temptation to grasp the levers of change and direct from the centre is strong. However, as friend who worked in Tony Blair’s Delivery Unit reminded me recently, it just doesn’t work. COSLA President David O’Neil made a strong case for local democracy, which is right in principle. However, we need to develop this further into practical ideas that can deliver better-integrated services that focus on delivering positive outcomes and preventing poor ones. It is easy to find fault in government plans, but it is more constructive to develop workable alternatives, before the latest avalanche of directives, targets and inspectors roll all over local innovation. In a country the size of Scotland it is reasonable to have common national standards, data and staff governance provisions. 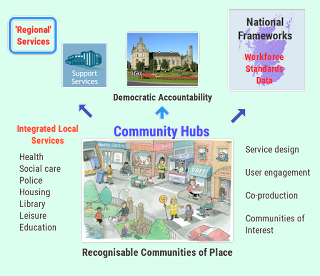 Local services can then be integrated in real communities of place, without the bureaucracy and fragmentation that localism can create. 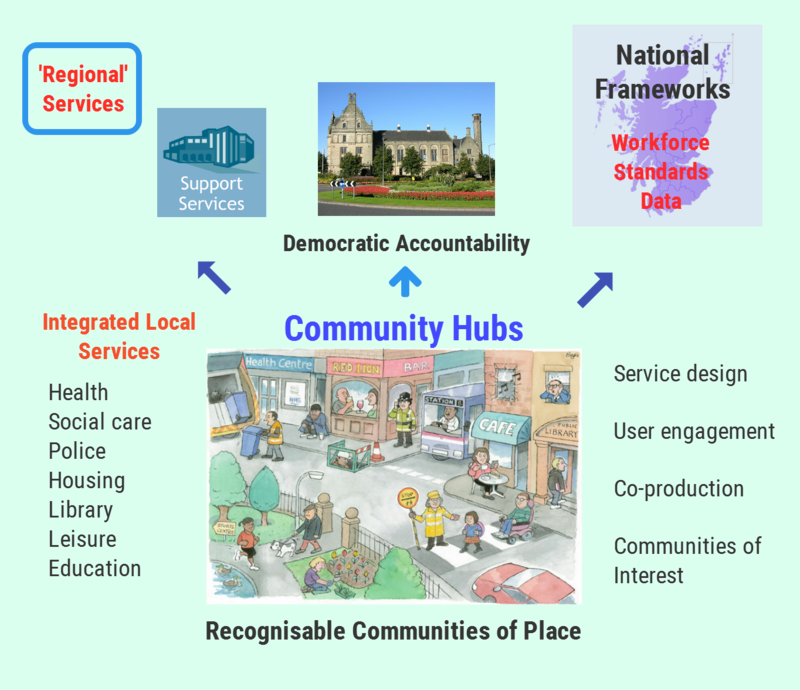 There is a halfway house between centralism and localism, but it needs to be developed. Five years on from the Christie Commission, we may not have delivered a focus on outcomes, prevention, integration and engagement; but they remain the principles that should underpin reform. The challenges facing public services are even greater today, so we should make a greater effort to find workable solutions. 'Cool Your Wellies' - What next after Brexit vote? My old Gran used say, when I was overreacting to some childhood event, 'cool your wellies'. This sounds like good advice post-Brexit, when some calm thinking is required in what is an interesting, but also a very dangerous political and economic environment. Let's start with some reflections on the campaign. Possibly the low point for me personally, was the Edinburgh taxi driver telling me he was voting leave because the EU was demanding straight bananas. After so many similar doorstep conversations over the years, are we, as Anthony Painter puts it, "replacing scrutiny and scepticism with a trust in our own instinct and cynicism". There is also the question of how referenda are managed and the rules. There is an interesting analysis of this by Harvard Professor Kenneth Rogoff - if a bit late! I also fear that we have underestimated the post-crash triumph of emoji politics over expert analysis. When the system gets just seconds from stopping people accessing their bank accounts from ATMs, their confidence in experts disappears. The bankers have carried on as if the crash never happened, but the public hasn't forgotten. "But Cameron and his Cabinet had not properly registered that the rich man at his table has to provide properly for that group of society that they would not consider inviting to their dinner parties. One cannot hollow out the economic life of huge parts of the country, fail to provide a secure worthwhile future, reduce social support, and think they will support you." Reading the insiders account of the Remain campaign, I was astonished that Cameron really believed that Jeremy Corbyn would campaign jointly with him. From personal discussions, I know Jeremy understands the lessons of Better Together, and in particular, the Evel announcement. Cameron was not a partner to be trusted in a campaign. Jeremy Corbyn's views on Europe are at lot closer to the typical Labour voter and activist than many Labour MPs. Switching to a happy clappy line would have had no credibility and could undermine his own greatest strength, which is being direct with people. As big a proportion of Labour voters voted Remain as SNP members (almost two-thirds) - it was Cameron who failed to deliver the Tory vote. If ever there was a group who need to heed my Gran's advice, it is Labour MPs. The Tories are in disarray, likely to be led by Brexiteers, who didn't think they would win and have no plan to deliver on their campaign promises. What a great time to tear the Labour Party apart with the latest opportunist attempt to re-run the leadership ballot. A new leader isn't going to magically resolve the different cultures in the Labour voting coalition, and Labour members are unlikely to support Tristram Hunt's view that Labour should be run by the very 1% that got us into this mess! Of far greater concern than these political manoeuvrings is what comes next. The markets may well stabilise in the short term as they bounce back from the shock of their own misjudgement. However, the medium and longer term questions need to be answered. The Institute of Chartered Accountants of Scotland (ICAS) has helpfully set out some of the questions that the UK government now needs to address as a matter of urgency. These include what immediate measures it will take to minimise the impact of Brexit on the economy, jobs and efforts to restore the public finances. We would do well to 'cool our wellies' before getting some answers to these questions. In the last crisis, the Tories took the opportunity to pursue their ideology of shrinking the state. We can now expect them to use this crisis to extend austerity even further. The IFS has predicted two years, but it could be longer and it is the most vulnerable who will suffer the most. 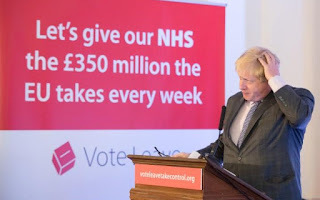 With a Johnson/Gove government, their economic solution to the mess they got us into, is an off shore, Neo-Liberal, tax haven Britain that seeks to drag the rest of Europe into race to the bottom. Those who understandably felt they had little to lose through Brexit, may discover the long term social and financial cost is huge. Finally, there is Scotland's constitutional question. Predictably, Nationalists have sized on Brexit as trigger for Indyref2, while Unionists regard it as a cynical excuse to get around the 'once in a generation' commitment. For those of us without an ideological commitment to either side, there can be little doubt that the different EU vote in Scotland reflects wider differences of approach that may be irreconcilable in the UK as it is presently constituted. As John Curtis has highlighted, polling during the referendum campaign suggested there might be a four or five point swing in favour of independence should the UK vote for Brexit. While that would put support for independence above 50%, it's still short of the consistent 60% figure SNP strategists will be looking for. They are very aware that the EU may not be on the top of voters priorities, when they are reminded of the economic pain that a post-oil price crash independent Scotland would face on its own. North Sea oil revenues have fallen to zero, leaving a huge public spending gap that could be three times greater than the austerity cuts to come. Retaining sterling within the EU is hardly practical now, which means joining the euro or creating a new and untested Scottish currency. Getting a competent Bill through the Scottish Parliament will be a challenge as this is a reserved matter. The SNP may well regret allowing the recent Trade Union Bill precedent! However, it may not come to that, as the new UK government may well see no merit in blocking it. David Mundell even hinted at that today. The way ahead will be decided by political judgement, not constitutional rules. If the Scottish Government thinks they can win, they will go ahead. They are wisely 'cooling their wellies' to see how public opinion plays out over a longer time period. Scottish Labour should do likewise. I think two factors could be a game changer for the indyref swing voters. Firstly, if the EU indicated that when Brexit is implemented, an independent Scotland could stay as a continuing member of the EU. It would still require difficult decisions on the currency and finances, but would be a radically different proposition from being a new accession country. Secondly, an ultra-right wing Tory government in England, possibly after a new UK general election, pursuing the policies I outlined above. For those on the left in Scotland, who have emphasised solidarity with working class communities elsewhere in the UK - this may be an ask too far. So while emoji politics may well be in fashion, my plea would be to spare a little time for a careful analysis of the options, particularly when there are so many variables. And above all, take my Gran's advice and cool your wellies. Like so many aspects of our economic life, the EU is an integral part of our energy and water systems. That's why almost everyone you meet in the industry will be voting Remain on Thursday. They are joined by most environmental campaigners, in a rare alliance. Why? Because in an interconnected world, both groups recognise that action at the level of the nation state is no longer enough. It is not well known that the UK imports around 6% of its electricity through undersea cables linking it to the European mainland. Some of this electricity will even reach Scotland, as we increasingly rely on our interconnector with England when the wind isn't blowing. Such interconnectors would be possible outside the EU, but wouldn't be priority for other states. Being connected to Europe's energy networks is also an important element of energy security in an unstable world. Having an EU energy policy does involve some sharing of sovereignty. Britain has had a significant influence on that policy. Admittedly not always positive, such as liberalising EU energy markets, but more positively in the shift from fossil fuels to renewables. I would argue that British sovereignty in respect of energy and climate change policy has been expanded, not diminished, by EU membership. And in the language of Brexit, they’re not “imposed” by “Brussels”. They are subject to voting and a range of checks and balances. In addition, the UK has flexibility on how policies are implemented. Renewables and energy efficiency rely heavily on new technologies. The EU offers a larger market and harnesses economies of scale so that products are cheaper. They are also developed to similar standards and regulations, making it easier for companies to trade and create jobs. If we vote for Brexit on Thursday the UK will either exist in an energy isolation that is both more expensive and less secure, or it will be a second-tier member of that market, bound to accept the rules made by EU members but having no influence over how they are agreed. There could also be an impact on energy bills. I am a bit sceptical about the suspiciously round number of £500m a year claimed by the energy secretary, but the basic premise is sound. Her claim was based on a report, commissioned by National Grid, which found that leaving the EU, and exiting the internal energy market, could cost consumers £500m or more each year. This is the equivalent of £20 per household – or about a third less when business consumption is taken into account. The arguments against Brexit are confirmed in a survey of industry professionals by the Energy Institute. On eight out of nine issues, from supporting renewable energy to improving energy efficiency – the majority of respondents said leaving the EU but remaining in the single energy market would have a “negative” or “very negative” effect on Britain’s energy system. Supporting innovation and research was the issue for which the most respondents thought Brexit would be detrimental, followed by addressing climate change and sustainability. There are similar arguments in relation to water, an industry that has benefited from common regulatory standards. Those who support Brexit often point to the constraints of such regulation. This reminds me of the 'Yes Minister' sausages episode, when EU regulation demanded that sausages should actually contain some meat! Wastewater regulations that limit the pouring of raw sewage into the sea, ruining our beaches, are a definite plus for me. The seriousness of water-related problems is recognised in the EU, in a way that simply wasn't the case before. So is the need for better ways to manage water resources and the water environment. Heavy fines for polluters are supported. 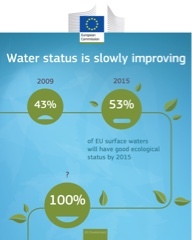 These measures and more are made possible by EU water policy. Yes, we could do these things outside the EU, but the fact is we didn't. In summary, for Scottish utilities the EU has been largely positive and Brexit could result in lower standards, higher costs and put energy supply at risk. That's why the industry and those who watch it, support Remain. Next Thursday voters will be asked to make an historic decision on the UK's membership of the European Union. I have always had an ambivalent view of the EU and in 1975, with my first ever ballot paper, I voted against membership. However, on this occasion I have cast my postal vote for Remain. Essentially, I believe that we are now so integrated into the EU that Brexit would create economic turmoil at a very dangerous time for the world economy. It will be workers who will pay the price of that turmoil, not the fat cat owners of the news media punting Brexit. I don't buy all the suspiciously round project fear numbers, but the basic premise is correct. Brexit would have a destabilising impact on the economy with consequential public service cuts. It would be austerity all over again. I also believe there is a positive case to be made for the EU. As a lawyer I would argue membership has brought a coherent and generally progressive body of employment law to the UK. As a historian, I am painfully aware that the history of Europe was very different before the EU brought the nation states of Europe together in cooperation rather than conflict. UNISON members rely daily on employment rights that are enshrined in EU law and upheld by the European Court of Justice. Brexit would mean that hard won rights like paid holiday, fair working hours, equal rights for part-time workers and maternity and paternity leave would no longer be guaranteed. You only have to listen to the views of Brexit Tory MPs like Priti Patel, to understand that outwith the EU; workers in the UK would be part of a race to the bottom. I accept that 'Social Europe' has been undermined in recent years and that European institutions have been cheerleaders for austerity. However, the idea that there is a socialist nirvana to be had following Brexit is dangerously naïve – this isn’t a referendum on neo-liberalism. Instead we should be taking a progressive reform plan into Europe along the lines articulated by Jeremy Corbyn, Gordon Brown and others. I would have to admit that I was also shoved into the Remain campaign camp by the antics of the Leave campaign. 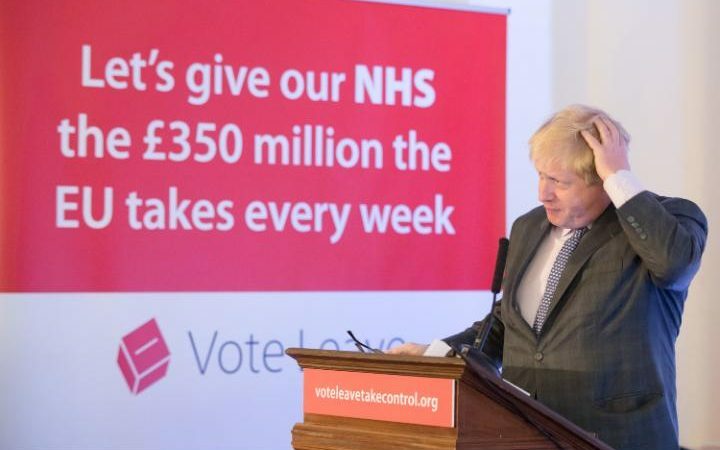 The £350m a week claim was obviously misleading - actually it qualifies as a lie. However, it has been their cynical use of concerns over immigration that has been the most despicable element of the Leave campaign. They know full well that EU migrants have an overwhelmingly positive effect on the British economy. Migrants have a higher employment rate than people born in the UK, are less likely to claim benefits or use the NHS. Migrant employment neither deprives British workers of jobs nor depresses local wages, as a study by the London School of Economics’ Centre for Economic Performance (CEP) shows. There aren’t a fixed number of jobs to go around. EU migrants don’t just fill jobs, they also create them: when they spend their wages and in complementary lines of work. While EU migration has risen in recent years, so has the employment rate of people who were born in the UK. Nowhere in the UK is the economic and social case for immigration stronger than in Scotland. Our working age population is not projected to increase at the same rate as the rest of the UK. This fact was brought home to me recently when researching for a presentation on future jobs in Scotland. The biggest increase by far was in health and care – 65,000 extra jobs will be needed by 2020. The numbers of working age Scots to support our ageing population is not going to be there without immigration. As Gary Younge argues in today’s Guardian, we are paying the price of avoiding a debate on immigration for 50 years. Voters think migrants comprise 31% of the UK’s population, when the actual number is 13%. If you think something’s twice the size it really is, you’re bound to find it frightening. We need to be honest and open with people about immigration and consider steps that address legitimate concerns. Yvette Cooper and Tom Watson have made a start on this. So why are we in a position, if the polls are to be believed, of imminent Brexit. A recent YouGov poll shows that the lower down the social ladder you are, the more likely you are to opt for leave. 52% of middle-classes are voting for remain, and just 32% for leave. Among the working-class, the figures are almost reversed: 36% for remain, 50% for leave. Owen Jones put it well saying: "When presented with a vote on the status quo, it is no surprise that those with the least stake in it vote to abandon it. Threats of economic Armageddon resonate little with people living in communities that feel ignored and marginalised." It’s hard not to feel some sympathy with this view, but Brexit isn't the solution. In reality it would further concentrate wealth and power in the hands of the few. When the experiment crashes, they will fly off to their tax havens leaving the workers to pay the price. Johnson, Gove, IDS and Farage are not part of an anti-establishment insurgency - they are the establishment! In the final days of this campaign, we should argue that housing shortages, falling real terms wages and a decline in public services are the fault of corporate greed and failed government policy - not migrants or the EU. There is a positive reform agenda for Europe, and Britain should be leading it. The Scottish Labour Party consultation paper 'Renewing Our Party' has attracted some commentary that on occasions has bordered on the hysterical and certainly doesn't reflect what the paper actually says. So let me attempt a calmer look at the issues. "Other than the status quo, there are a number of broad approaches to reform. At one end of the spectrum is further devolution from the UK party and at the other, the creation of an independent Scottish Labour Party. In between is a 'federal-type' option where members belong to the Scottish Labour Party first and foremost, and agreement is reached over which matters and procedures are best shared on a UK basis." In any objective analysis of reform, this paragraph is simply a statement of the obvious. Just because you identify the range of options, doesn't mean that the writers, or the Scottish Labour leadership are proposing them. Particularly the outlying options. A few comrades have suggested that we should leave well alone and the status quo is fine. Reference has been made to previous reviews, without understanding that a number of the recommendations adopted from those reviews have not actually been fully implemented. At the very least, the hopelessly outdated UK and Scottish Labour rule books need to reflect agreed devolution measures. However, this is not simply an issue for the self confessed rules anoraks - it's political as well. Anyone who lived through the Falkirk debacle should understand that it is simply not acceptable to have the Leader of the Scottish Labour Party having to say 'not me guv - someone from London will come up and sort this out'. That was precisely the invidious position Johann Lamont was left in because issues such as who was responsible for CLP management were left unresolved. And it wasn't the only example that underpinned the 'branch office' comment on her resignation. At the other extreme there are those who argue that an independent Scottish Labour Party is required to give the Party a distinctive status and bury any perception that Scottish Labour receives its instructions from 'London'. My own view is that this solution is an over reaction to the problem. Most of Scottish Labour's mistakes have been home grown and it is too easy to blame others. In addition, most party members share the sentiment in the joint statement by Kezia and Jeremy, repeated in the paper: "Like the UK itself, the Labour Party is also a family of nations. We benefit from the solidarity that comes from working together as a movement across the whole of the UK." That leaves us with a 'federal-type' solution. The UK is an asymmetric state, so pure federalism has its challenges, but as with devolution, solutions can be found that recognise the current constitutional position. The paper sets out a number of practical considerations that need to be addressed. CLP management is in my view a no brainer. Any reform has to pass what I would call the 'Falkirk Test' - ensuring that similar issues in future are dealt with in Scotland. The Scottish Labour Party already has responsibility for Holyrood and local government candidate selection, even if the rule books need updating. This should be extended to the other elections. It may be that Scotland would follow a similar process, but that would be for the Scottish Party to decide. Any issues arising out of the selection process have to be dealt with in Scotland. Sharing services on a UK basis is a practical solution to the administration of the Party. The Party should be focusing on the strategic political and organisational issues, not duplicating administrative functions or wasting time managing them. That includes staffing administration, but we do have to develop a clearer approach to the accountability of the Scottish General Secretary and his staff than the current position. Finally, that leaves policy. Again policy on all devolved issues is already the responsibility of the Scottish Labour Party. The U.K. Manifesto is a problem for all Scottish parties that operate across the UK. There may be differences of approach on reserved matters that reflect Scottish views and you can't totally ignore devolved matters. Not least because many voters don't have a full understanding of which services are devolved. This means we need to have a manifesto in UK and European elections that reflects the complete picture. It also needs to have a proper internal democratic process - not cobbled together by officials and the leadership. The difficult bit is what do you do if there is a different view on a reserved issue across the UK. Our sister parties in federal states would wonder why we think this is a problem - they manage this regularly. Having a different position doesn't happen often, but when it does you can use a mechanism like the current NPF to resolve them. That requires compromise and some times you just have to agree to differ - it's called politics! Parties enter into coalition arrangements on a similar basis, but everyone understands what their preferred position is, even if it isn't achievable at any particular point in time. I would therefore urge all comrades to read the consultation paper carefully, after all it's only a couple of pages. The status quo isn't an option, even for the most ardent unionist and neither is this somehow giving in to nationalism. Subsidiarity is a cumbersome word, but it means that decisions should be taken at the lowest practical level. It's an idea that has growing political resonance across the UK and in our debates over centralism and the role of local democracy in Scotland. Labour is the party of devolution and our structures needs to reflect our policy.